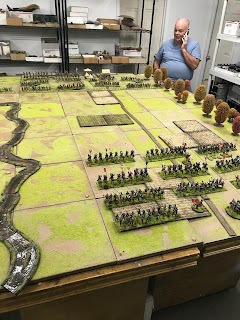 Wargaming the Seven Years War in miniature. 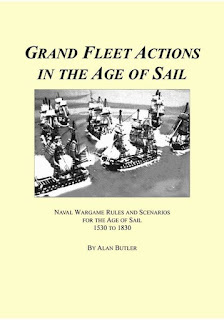 I first discovered the world of miniature wargaming back in the 1980's (when dinosaurs still roamed the Earth), and by the following decade, I'd decided what would be my ultimate experience in the hobby: a grand strategic, multi-player campaign featuring diplomacy, economics, and battles on land and sea fought in miniature. I'm one of those gamers who likes organizing, and running games even more than playing in them. Why? I have no idea. 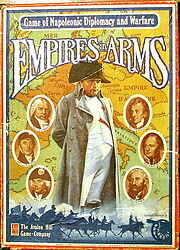 Anyway, the obvious direction in which to pursue my dream seemed to be the classic Napoleonic board game "Empires in Arms". I'd played it a bit in the late eighties, and early nineties, but it soon became clear there'd be problems going that route. One, is that the Napoleonic period features truly vast armies. 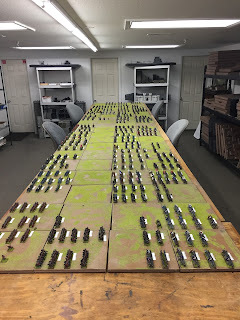 To recreate every army, at a scale that would be meaningful historically, and visually, was an almost unimaginable task. Second, "Empires in Arms" tends to be a terrific game in theory, but less so once you let a bunch of gamers loose on it. It doesn't do a very good job of keeping players focussed on their nations' historical concerns and objectives. As a result, some very weird stuff tends to happen. Stymied, I put the project on hold, and got on with the business of living. Then, around 2005, I discovered the work of Sam Mustafa. 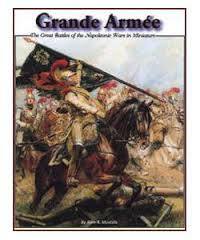 I loved his first set of rules, a grand tactical Napoleonic set called "Grande Armee" and briefly considered resurrecting the idea of a Napoleonic grand campaign, but I still didn't have a workable board game to cover the strategic end of things, and found the prospect of designing a system to convert one into tabletop battles, daunting. Then, Sam published a set of rules for the Age of Enlightenment called "Might and Reason", and, lo and behold, he'd included a system for plugging it into a board game, called "Soldier Kings", so as to enable players to run just the kind of grand campaign I'd been scheming to create for a couple of decades. 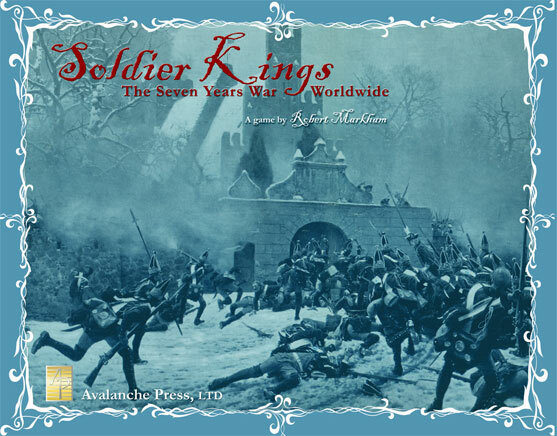 I bought a copy of "Soldier Kings" from Avalanche Press, loved it, loved it even more when I bought the expansion "Enlightened Warlords", and in 2008 I took a deep breath and started building the forces to bring my crazy idea (TM) to life. I went through all Sam's army lists, and one-by-one, starting with (for reasons long forgotten) the Russians, began buying and painting 15mm miniatures (overwhelmingly from Essex Miniatures in the UK). In "Might and Reason" armies have a minimum number of basic units (usually your standard line infantry), and a maximum for other types. I opted to build double the minimum for the basic units, and the maximum for everything else. Regular Infantry units have 24 figures, Irregular Infantry 12, Regular Cavalry 8, and Irregular Cavalry 6. Artillery batteries have 1 gun, and 4 crew. 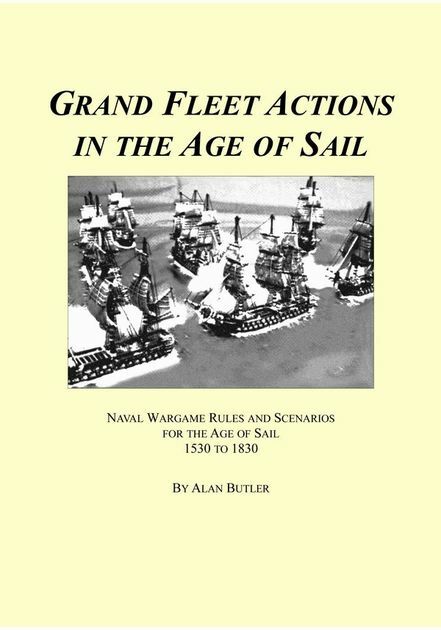 For the fleets, I discovered an excellent, highly playable set of rules called "Grand Fleet Action in The Age of Sail" by Alan Butler, and started investing in 1/2400th ships. I assembled about 100 vessels and then, as the ships are fairly generic at that scale, came up with the idea of transferring them to different magnetic bases each with labels to represent various navies, depending on the situation. 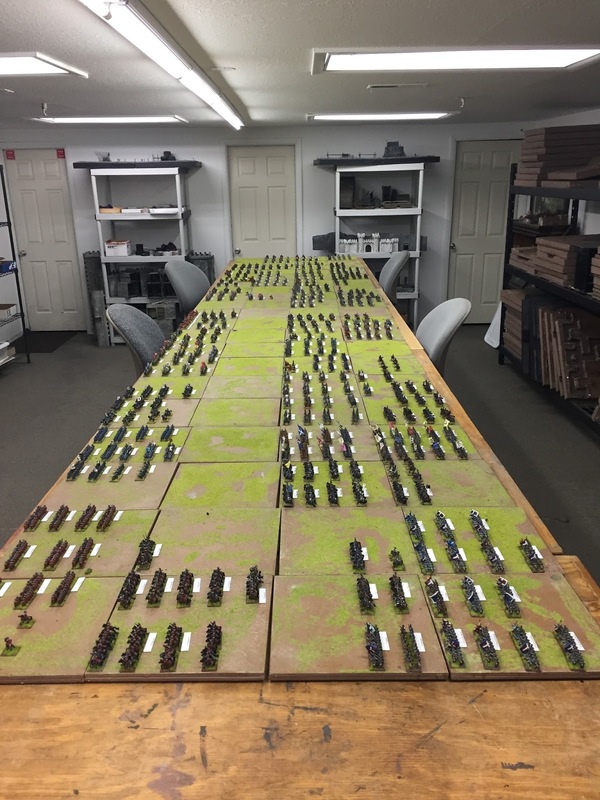 By the time I was finished, after various breaks to work on other projects (and thereby prevent myself from seeing tricornes in my sleep) I had not only about 100 ships, but a little bit under 8,000 pieces of painted Seven Years War figures. In mid-2017, a project that had lasted longer than the actual war itself was ready to get underway. This blog will chronicle the recreation of what historians sometimes call "The real First World War". So, the Three Years War is at an end. The peace conference would be interesting. For example, the Russians would surely use their newly acquired Italian provinces as leverage for other, more defensible, concessions. The big winners were the Russians (obviously) and the British who accomplished their historical objectives of kicking the French out of North America, and India. The Dutch gained a foothold in West Africa, but would have likely had to return Senegal to the French in return for the fleets, and troops captured by the French navy in the Caribbean. Frederick held on to Silesia, and got himself a third of Poland so likely came away from the latest round of bloodshed satisfied. THE BATTLE OF TORTONA - JULY 18th 1758. Tortona was a logical place for the Spanish and Piedmontese to come to grips. The town sat astride the road from Genoa as it debouched from the Apennine foothills along the bank of the Scrivia River. The plain around the town was heavily cultivated, and largely open with the only woods being either on the foothills to the south or clustered along the banks of the Scrivia. 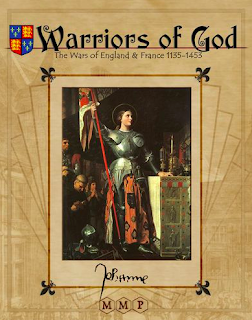 Charles Emmanuel had led the Piedmontese army south from Turin, attempting to either relieve Genoa, or at least keep the Spanish from being able to deploy north out of the Apennines onto the plain of the upper Po valley where their superiority in cavalry might prove decisive. The collision of advance guards near Tortona on the 17th told Charles that he had at least achieved the latter aim. First try at "To The Strongest". Back in November I finally concluded that I had enough units completed to give "To The Strongest" a try. My friend Dennis had been urging this for a while and so, even without the casualty figures that I wanted to represent disordered status which forced the use of poker chips in their stead, I decided to put on a test game. Dennis commanded the English who, typically, hid behind a wall of stakes with flanks secured by terrain, and I commanded the French. Initial thoughts were that the command and control and ammunition rules work extremely well, but that somehow we must've been doing melee wrong as it seemed virtually impossible to kill anything. Here are few shots of the action. The only other set that I'd given serious consideration is "Arte De La Guerre" but my basing system isn't really suitable for it.